This simple painted mantel was designed utilizing existing architectural elements in the home. 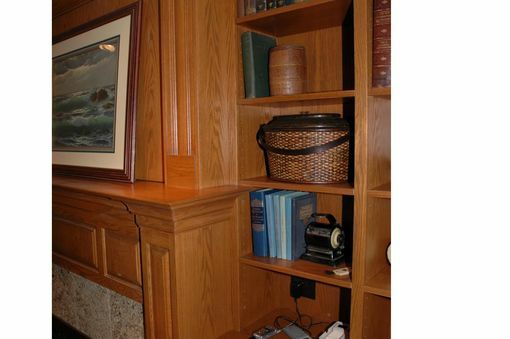 The adjoining bookcases and raised hearth provided much needed and well organized storage. The maple mantel and cabinetry brought warmth into a stark lakeside home. The custom stained glass panels flowed from one door to the next creating a real organic feel. 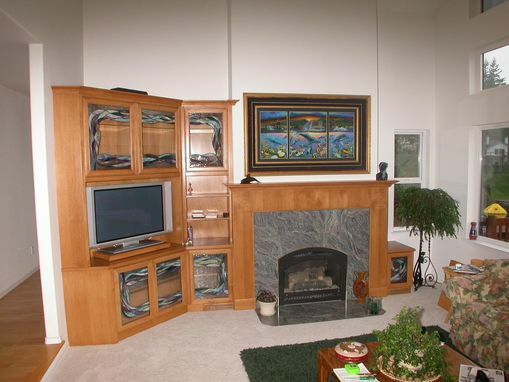 This rift sawn oak mantel and bookcase unit was located in a den behind glass french doors. A variety of moulding patterns tied the mantel, bookcase and wainscot together. To store their valuables, a secret panel was incorporated into the design. 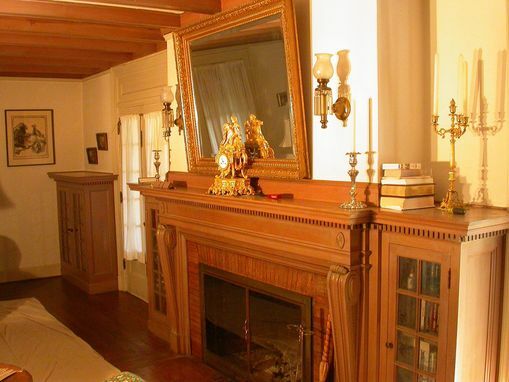 The large fir mantel in this photo is over a hundred years old. 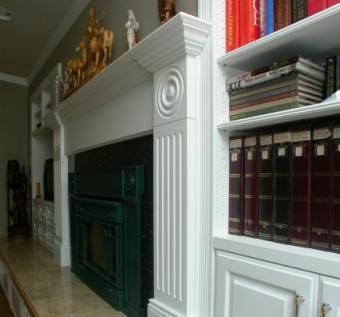 We were contracted to create bookcases on either side to blend with the age of the home. Drawing on the existing details of the mantel, we recreated 7 custom profiles and various other details including an aged finish. All of these elements made the work feel as if it had always been there.